Charity- By- Design is a Workplace Giving Program originated by the valued associates at Highgate Hotels. Together they are making a huge difference and impacting those less fortunate, helping to fund research and programs that touch lives. This is the program that affords every employee the opportunity to give back and help others. We are so proud to be able to partner with Highgate Hotels as they launch this charitable fundraising drive. Through voluntary post-tax payroll deductions determined by the employees, workplace giving program makes it easy affording everyone the opportunity to become philanthropists. Workplace giving is a means by which associates donate to the charities they care about, through payroll pledges. Twice a year employees decide which issues are most important to them and they have the opportunity to contribute a few dollars per paycheck. YOU decide where your donation goes; we appreciate you choosing US2UGANDA4life! 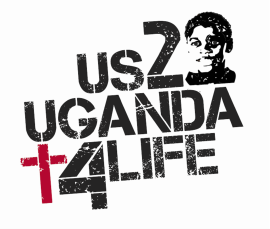 ﻿Today US2UGANDA4life supports Jireh Children's Center and the Medical Center at Kalungi. We provide Food, Education Clothing and Housing for over 200 children from ages 2 to 18. and medical care and education to thousands of people who cannot afford care elsewhere. The generous donations from the employees at Highgate Hotels will be combined to provide further education scholarships for children who graduate from Jireh as well as funding students enrolled in the nursing program at Kalungi, a school that we opened in 2011. Please feel free to wander around the site to learn more about what we do in Uganda and as you do always remember that 100% of your donation goes to Uganda. Our founders, Cormac and Ali have been engaged in Uganda for more than two decades but i am sure you will be encouraged to know that Cormac has been in the Hospitality business since graduating from High School. We cannot thank Highgate enough for this partnership opportunity. Provide them with mattresses and personal effects.